Product prices and availability are accurate as of 2019-04-10 22:39:34 GMT and are subject to change. Any price and availability information displayed on http://www.amazon.com/ at the time of purchase will apply to the purchase of this product. 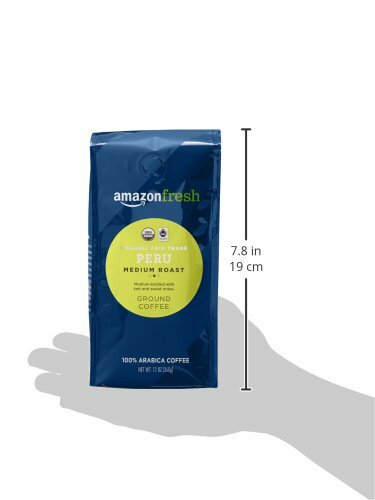 Our AmazonFresh Fair Trade Organic Peru medium roast ground coffee is made with high quality 100% Arabica beans, skillfully roasted and instantly loaded for freshness. This medium-bodied coffee has brown sugar and chocolate notes you can enjoy and feel great about too.